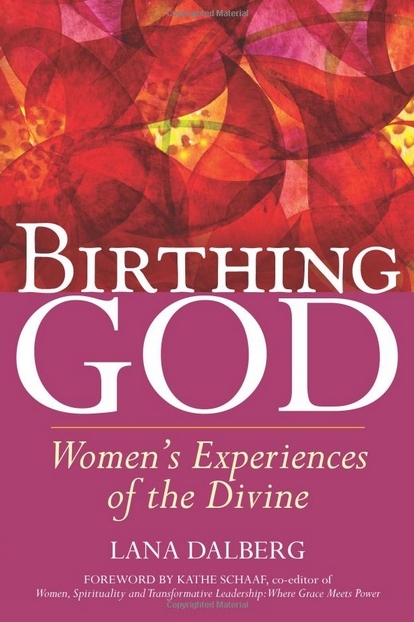 Birthing God began its gestation period with three words that came to author Lana Dalberg in the middle of the night: “Birthing God. Kenosis.” She immediately recognized the title for her book, but had to check her seminary notes to remind herself that kenosis in ancient Greek means “self-emptying,” becoming receptive to Spirit so that one becomes an incarnation of Spirit. Then followed interviews with forty women from a variety of religious traditions—Taosim, Judaism, Zen Buddhism, Islamic Sufism, Indigenous, Hindu, Religious Science, and Christianity, including several women who are part of Ebenezer Lutheran Church, more commonly known as “herchurch.” Each of the interviews became a chapter in the book, which is divided into three parts: Divine Love and Love of Self (13 chapters); Divine Connection (15 chapters); and Divine Change (12 chapters). Each interview-chapter concludes with questions to be discussed with one’s own inner being or with friends, and then offers an exercise to help readers connect with their own deepest Selves. There is also an enthusiastic Foreword by Kathe Schaaf, co-editor of Women, Spirituality, and Transformative Leadership; helpful introductions to each section plus an Epilogue, all by Lana Dalberg; a set of eight meditations or visualizations; a copy of the questions used in Dalberg’s interviews; informative footnotes; a list of thirteen healing retreats and ministries; and a list of seven blogs, including one prepared by Dalberg herself, www.womenspiritandfaith.com. Bonuses include endorsements from sisters like Mary Hunt and Carol Christ, and ads for other relevant books from Sky Light Paths Publishing in Woodstock, Vermont. Every feminist should be aware of this relatively new publishing house, which features books on various religions, mysticism, spirituality, and women’s concerns. For each woman interviewed, Dalberg supplies some description of her body language and general tone. Each describes an instance when she felt the divine presence in a palpable or powerful fashion, as well as the life-context and subsequent results of that experience. Each also describes her sense of community, how she connects spirituality and social justice, her attempts to heal society and the planet, and her advice for younger women. Dozens of wonderful insights emerge. 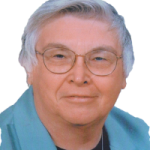 For instance, EEWC’s own Dr. Jann Aldredge-Clanton talks about the necessity of having a symbolism that supports our desire for peace and freedom from oppression: “We have denied the Divine Feminine, so the world is out of balance” (p. 256). Jann’s work of providing feminist words for old hymn-tunes and writing new hymns and liturgies is providing transformative symbolism that cherishes nurturing and birthing. In this way she is helping to heal society and the world we all inhabit. In another chapter, Dr. Chung Hyun Kyung of Union Theological Seminary describes the loss of her mother when she was only one year old, leaving a hole in her heart. One day, that hole was filled when she discovered during meditation that the hole went all the way into her own womb, which now held the entire world. Thus her biggest trauma was transformed into her biggest power. She lost all fear and dared to travel the world by herself—even into 17 Muslim countries, some of them at war. Accordingly, she urges us all to love and trust ourselves, acting upon our “womb power, womb intuition, womb wisdom!” (p. 33). I was of course delighted to learn that Rev. Lori Eickmann, a Lutheran pastor, had learned about the Divine Feminine from my book by that title. In every church where she serves as interim pastor she leads a three-week study in “female imagery for God in the Bible” (p. 24). Lori has on three occasions experienced God as rocking her: once a stunningly powerful rocking, once a more tender Jesus-rocking, and finally as a slow gentle mother-like rocking—one experience with each member of the Christian Trinity. Indeed, certainly, Let It Be!